Ava announces herself to the five families as the new head of the Jerome organization. She claims to know who shot Sonny. After stalling, Ava claims Carlos acted alone as he did when he shot Duke. Michael wants her to produce Carlos. Ava says he&apos;s disappeared and she&apos;s trying to locate him. The rest of members feel the need for a ceasefire, so everyone can co exist. Michael agrees to a cease fire as long as Ava no longer causes problems. Ava promises to be good. 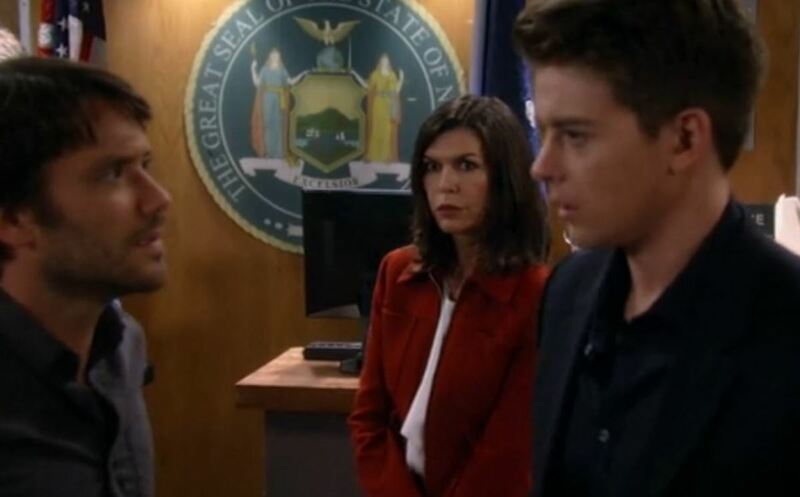 Anna pays Julian a visit to let him know that he&apos;s not off the hook for ordering the hit on Duke. Julian denies it again. He says Carlos was solely responsible and that she should be looking for him. Anna questions Alexis, who remembers Julian admitting to her that he ordered the hit. She doesn&apos;t admit that to Anna. Julian tells Anna to find Carlos. Carly asks Patrick for the okay for her and Sonny to get married and explains that it&apos;s to protect Avery. Patrick and Liz stand as witnesses, but Sonny has a seizure before the vows are done. Sam wishes she&apos;d had the opportunity to say goodbye to Jason at the clinic. She feels she needs closure and worries about hurting Patrick. Robert arrives, happy to see Sam again. His grandmother is introduced to Jake and believes him to be Jason. She wants Sam and "Jason" to renew their vows and Sam can&apos;t say no. Paul introduces himself to Dante and makes small talk about Sonny. Anna arrives, wanting to tell them something. However, Michael shows up and tells Dante that he needs to find Carlos. Ava tells Julian that she&apos;s got him off the hook.